This week I wrote a guest post for the Nourishing Liberty blog on why Maryland should pass proposed legislation to label GMOs. 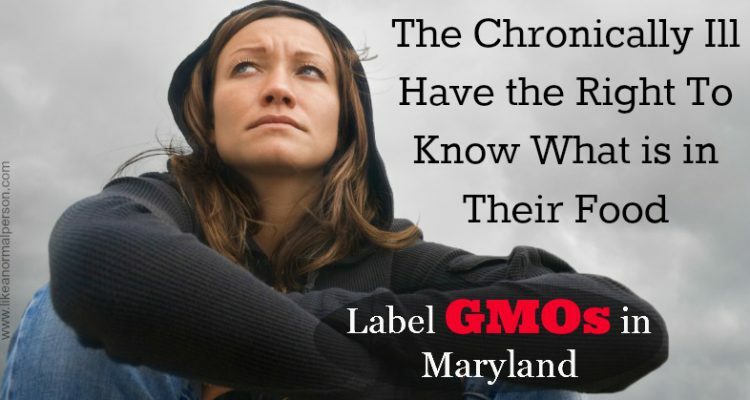 As one of the 50 million Americans who suffers from an autoimmune disease, a process where the body attacks and destroys its own healthy tissue, I realize that is it time for food manufacturers to label GMOs in Maryland. It is imperative consumers know what is in their food, particularly when that food contains genetically modified organisms (GMOs). For better or for worse, we become what we eat – literally. In order to continue taking back my health and my life from two disabling autoimmune diseases, I must know exactly what I’m eating to both deeply nourish my body, and avoid triggering an already confused immune system. 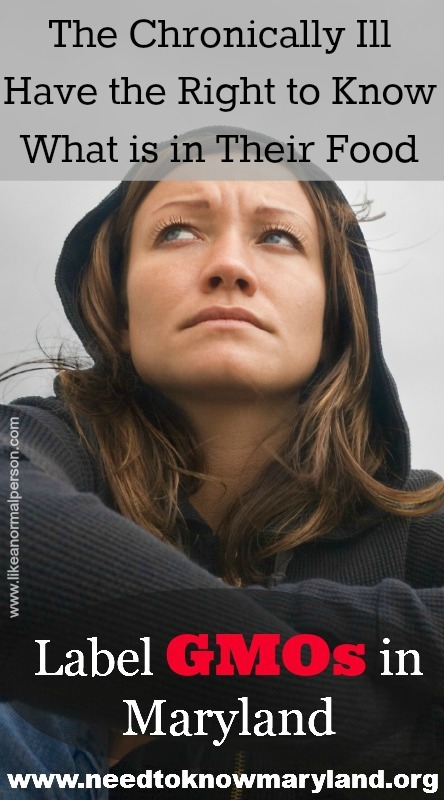 The good news is that people with autoimmune disease CAN recover their health – but only if they eat in a certain way. As it stands today, 80% of food in grocery stores contain genetically modified organisms. Without labeling GMOs, we can easily and unknowingly ingest substances that further harm our health.